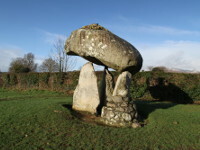 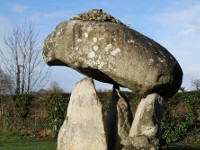 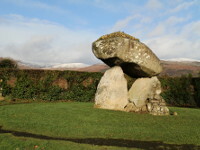 Proleek Dolmen is located about 4km northeast of Dundalk (Co Louth), on a golf course in the grounds of Ballymascanlon Hotel. 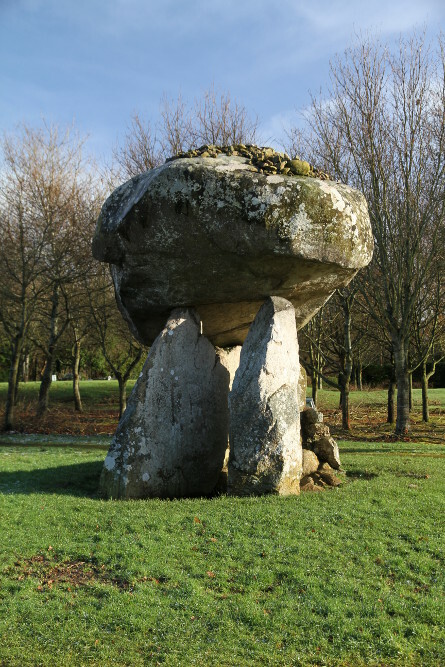 This megalithic monument was built in early Neolithic period, around 3000 BC. 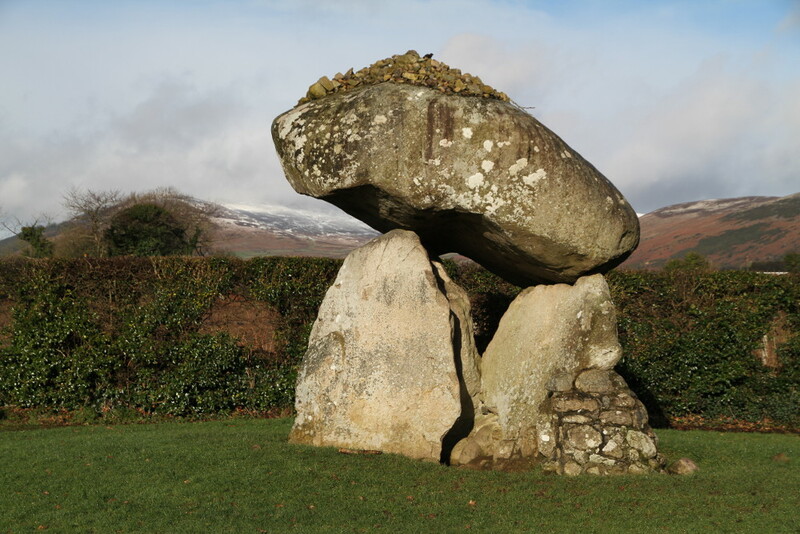 It consists of two massive, over 2m high portal stones and back stone, which support hudge capstone, weighing approximately 40 tons. 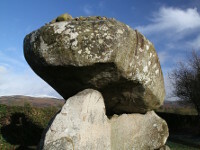 Back stone has concrete and stone support added in modern times. 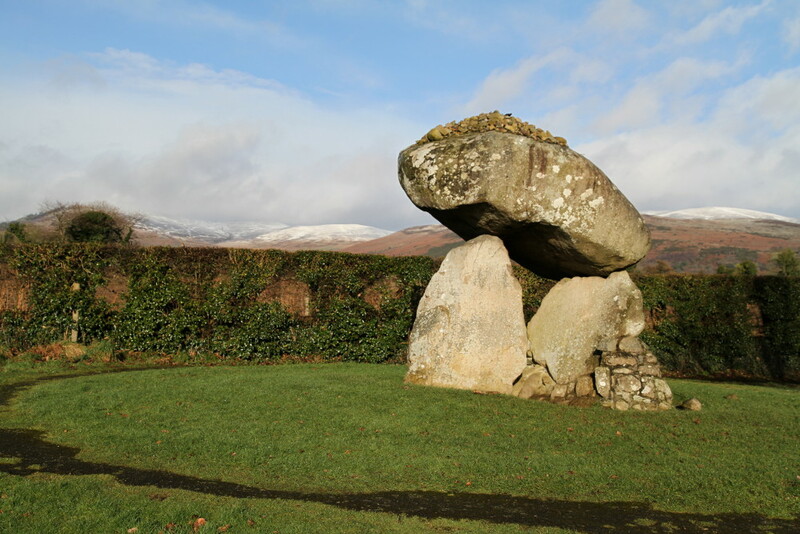 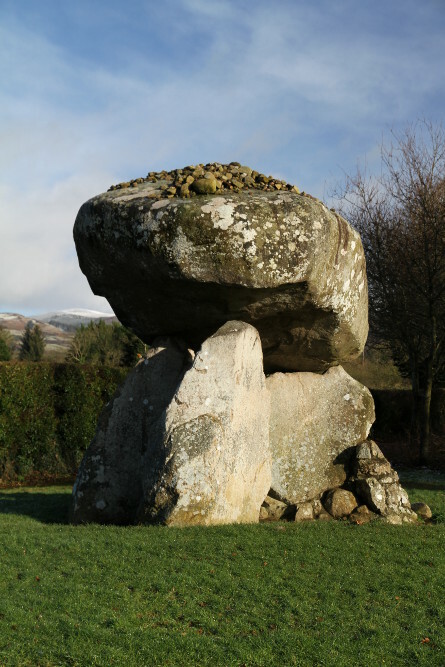 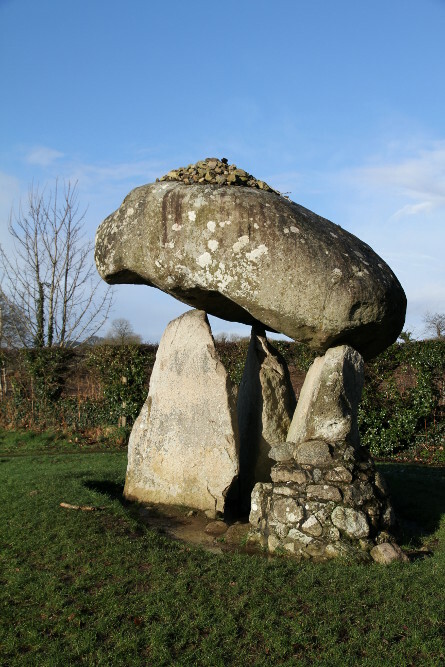 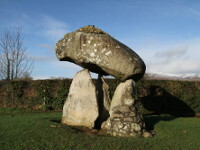 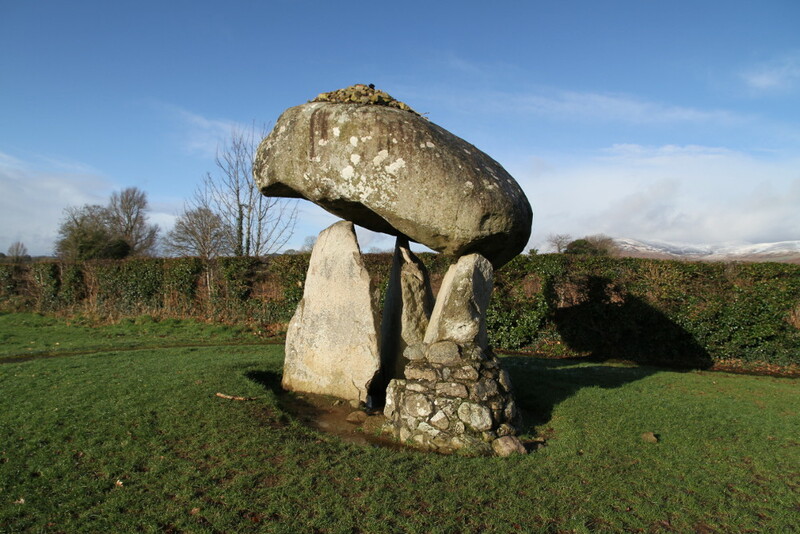 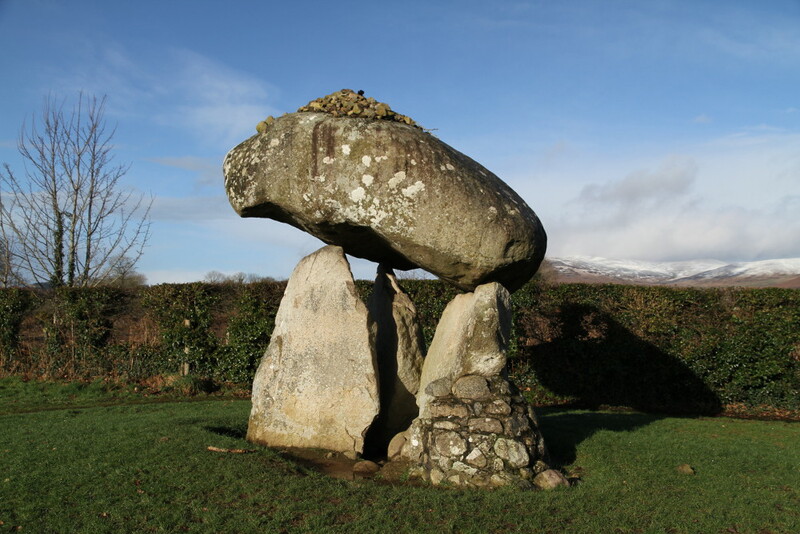 According to local legend Proleek Dolmen was brought here by the Scottish giant Para Buidhe Mór Mhac Seoidin who came to challenge Irish legendary hero, giant Fionn mac Cumhaill to combat. 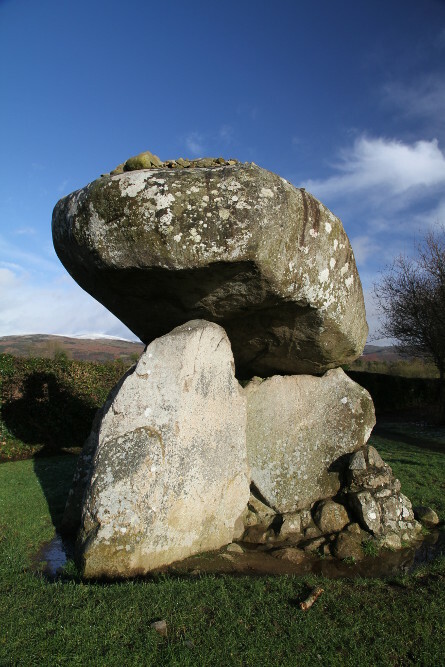 Clever Fionn poisoned a nearby river, and a thirsty Scottish giant died after he drank the water. 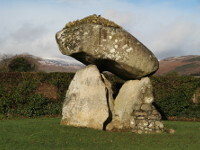 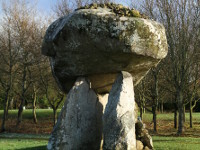 He was buried in the nearby Proleek Wedge Tomb, locally known as Giant's Grave. 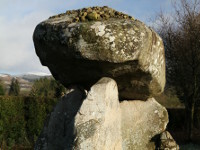 Another legend says that anyone who will throw a stone on the top of the capstone that doesn't roll off, will be married within a year.